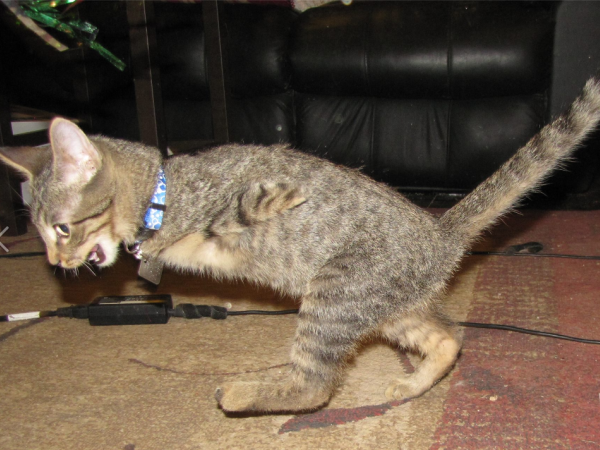 He lost his front legs as a kitten, but Mercury the cat still manages to jump, run, stand and play. A kitten whose front legs were reportedly sliced off by a weed whacker has become a Facebook favourite with more than 41 000 likes on the social network. Mercury was only a few days old with his eyes still closed when his owners found him in September 2013. His front legs were missing and his rear left foot only had one toe. 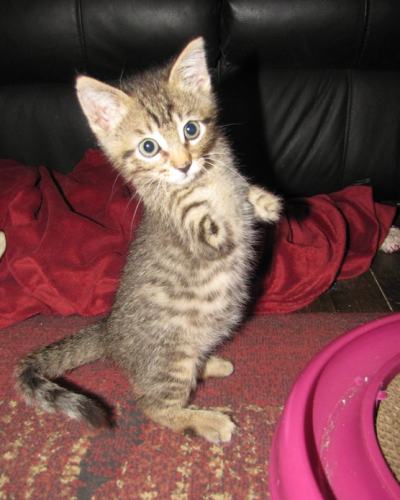 Since then he’s grown into a lively cat -- he’s developed his hind legs and can now balance upright, walk and even jump. His owners document his activities on Facebook and YouTube.